Halloween is next week! Have you prepared your scary/funny costume for a Halloween party? Even if you haven’t, you can enjoy this creepy festival online! 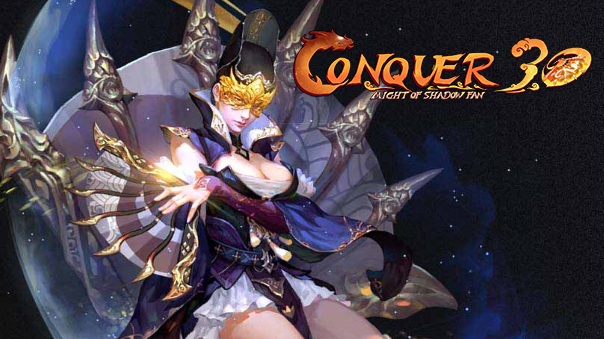 Besides the Halloween Masquerade Event, the Conquer team has also prepared a string of special quests for players to celebrate this still well loved, childlike festival, in-game. Talk to one of the 8 Plump Pumpkins in Twin City every 10 minutes and receive rewards such as Transform Candy and Fireworks Bag. When it is during 0’00” – 9’59, 20’00” – 29’59”, 40’00” – 49’59” of the event hour, you can click the NPC and turn him/her into a pumpkin. When it is during 10’00” – 19’59”, 30’00” – 39’59”, 50’00” – 59’59” of the event hour, you can click a pumpkin NPC and turn him/her back to normal. You will receive an award to transform Britney Swords. If someone has already clicked on the NPC, you have to wait until the next period. 1.When log in the game for the first time from Oct, 24th to Oct, 30th, you will receive a Halloween Guide in your inventory, which will lead you to find King Jack for more details. If your inventory is full, you need make some room then re-log in to get it. 2.Elf Star will teleport you to Sleepless Valley. Kill monsters there and they will probably drop some Pumpkin Seeds. When you collect 5 Pumpkin Seeds, find Tinkle or Jingle to return to Phoenix Castle. 3.Hand the 5 Pumpkin Seeds to King Jack, you will get a Big Pumpkin as reward. Right click it to randomly get one of these 4 items: Naughty Pumpkin, King’s Fireworks, Silver Flame or Drinking Fountain. Talk to King Jack and get a Genius Bottle. Then go to Sleepless Valley via Elf Star. Kill 50 monsters there and the Genius Bottle will turn into a Pumpkin Bottle. You can leave with the help of Tinkle or Jingle. The NPCs, who have been turned into pumpkins in Phoenix Castle, need your help with the Pumpkin Bottle. Turn one Pumpkin Bottle in, and you will get 1/6 of an EXP Ball. For every 5 Pumpkin Bottles handed in you will obtain one Pumpkin Box. Right click it, and receive one of these items randomly: 1/3 of an EXP Ball; 60-minute Double EXP; 1 Meteor; 1 Ninja Amulet; 1 Black Tulip; 1 Lottery Ticket; 1 Garment Ticket; 1 Meteor Tear; 1 Quest Chance B. Note: You need to collect 10 Garment Tickets to swap for a garment. There are 10 garments for your choice. If the NPC has 10 Pumpkin Bottles turned in, he/she will return to the original appearance. 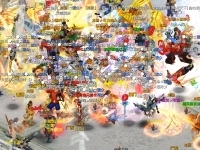 The event will end when all the NPCs return to normal or it is 23:59 Nov 2nd. There are 8 invisible traps in the market. When you stand on it, it will disappear and create a new one somewhere. You will be transformed into a pumpkin for 10 seconds and get one of these: Naughty Pumpkin, King’s Fireworks, Silver Flame, or Drinking Fountain. The events take place from October 24th to November 2nd.